Joseph Amirian of Canyon Country, Calif., will appear in Los Angeles County Superior Court on September 14, 2018, for a restitution hearing in an ongoing case in which he has pleaded no contest to one felony count of identity theft. Amirian entered his plea and was sentenced in June. The Investigation and Enforcement Unit–Chatsworth Field Office within the California Department of Consumer Affairs’ Division of Investigation led the investigation into Amirian, who was initially charged with six felonies including two counts of identity theft and four counts of forgery and counterfeiting. Amirian was previously licensed as a physical therapist, but his license was revoked in 2015. Investigators found that following the revocation, Amirian continued to provide in-home physical therapy under the company name, “JA Services.” Amirian allegedly billed for the therapy by using the names of several licensees without their knowledge. The investigation found that Amirian had been hired to provide in-home care to the patient after he presented his employer with a forged driver license, physical therapist license, CPR card, and malpractice insurance information that were all in the name of another licensee. This case was the third time the Los Angeles County District Attorney’s Office filed charges against Amirian. In 2008, Amirian was convicted of forgery after he forged the signature of a patient on a $5,000 check which he then attempted to cash. In 2010, Amirian’s physical therapy license was suspended for one year and placed on probation for an additional five years with numerous practice restrictions. During the one-year license suspension, Amirian was found to have continued to work as a physical therapist by using the name and license information of another licensee. In 2012, he was charged with five felony counts of forgery and counterfeiting and five felony counts of practicing medicine without a license. He pleaded no contest to two counts of practicing medicine without a license and was placed on three years of formal probation in 2014. Following that conviction, Amirian’s physical therapist license was revoked, however, the Physical Therapy Board continued to receive complaints that Amirian was using the names of other licensees in order to provide physical therapy services. Investigators are searching for more potential victims of a Newport Beach physician who was accused of inappropriately touching a female patient. Dedrick Dwanu Weathersby of Vallejo was arrested on June 14, 2018, by investigators with the Department of Consumer Affairs’ Division of Investigation (DOI). Weathersby had two outstanding arrest warrants issued out of Santa Clara County and was charged with eight felonies and one misdemeanor related to his unlicensed practice as a therapist. An investigation conducted by DOI’s Investigation and Enforcement Unit (IEU) Sacramento Field Office found that Weathersby, who has no professional license, allegedly used a counterfeit marriage and family therapist (LMFT) license to obtain employment in Santa Clara County in 2017. Investigators found that Weathersby had previously obtained employment as a behavior consultant in San Mateo County from 2016 to 2017. As part of his fraud, Weathersby allegedly used the name and license number of a LMFT to misrepresent that he was supervised by that LMFT. He also allegedly produced a falsified diploma and transcript from one university and a falsified diploma from a second university. Investigators found that Weathersby earned over $55,000 from his alleged fraud. The Santa Clara County District Attorney’s Office charged Weathersby with six felony counts of identity theft, two felony counts of grand theft and one misdemeanor count of practicing as a clinical therapist without a license. On April 20, 2018, the state Board of Behavioral Sciences issued Weathersby a citation and $5,000 fine for unlicensed activity. Weathersby was arrested by investigators from IEU and booked into Solano County Jail without incident. He is scheduled to appear in court on July 12, 2018. Todd and Kathleen Bragg of Santa Clara were arrested June 19, 2018, by the Department of Consumer Affairs’ Division of Investigation (DOI). Todd Bragg, a chiropractor, and his wife, Kathleen, were each charged with one felony count of practicing medicine without a license and one misdemeanor count of advertising to practice medicine without a license. Todd Bragg was also charged with a felony count of aiding and abetting the practice of medicine without a license. The arrest warrant was issued on June 19, 2018, by a Santa Clara County Superior Court judge. The Braggs were investigated after DOI learned they owned and operated a business called “A Youthful Reflection” on Forest Avenue in San Jose that offered laser hair removal and skin rejuvenation. The Braggs hired registered nurses to perform the laser treatments and allegedly told the nurses that they could perform the laser treatments under the chiropractic license of Todd Bragg. Kathleen Bragg does not have any professional license. There was no physician associated with the business and no physician oversaw the laser treatments. In California, laser hair removal can be legally performed by a physician, or by a physician’s assistant or registered nurse that is working under the supervision of a physician. Unlicensed persons may not legally perform laser hair removal. DOI investigated the nurses for performing the laser treatments without proper supervision by a physician and then investigated the Braggs for their alleged continued practice of advertising and performing laser hair removal and skin rejuvenation. The investigation included an undercover operation during which Kathleen Bragg allegedly offered to perform laser hair removal. The investigation was conducted by DOI’s Investigation and Enforcement Unit (IEU) – Hayward Field Office and Enforcement Support Unit. DOI’s Health Quality Investigation Unit (HQIU) and the San Jose Police Department assisted IEU in the arrest. The Braggs are being prosecuted by the Santa Clara County District Attorney’s Office, Consumer and Environmental Protection Unit. The Board of Chiropractic Examiners has been notified of Todd Bragg’s arrest. A Los Angeles vocational nurse has been charged with four felonies for allegedly submitting fake foreign transcripts and a falsified application in an attempt to become licensed as a registered nurse (RN). Gabriele Gross, operator of Eqoulution, LLC in Ladera Ranch, has been charged with three counts of practicing veterinary medicine without a license and three counts of giving false or misleading advertising statements. The charges against Gross stem from an investigation conducted by the Department of Consumer Affairs’ Division of Investigation (DOI), on behalf of the Veterinary Medical Board. DOI’s Investigation and Enforcement Unit San Diego Field Office. Investigators learned during the investigation that Gross was allegedly referring to herself as a doctor, veterinarian, and DVM – or doctor of veterinary medicine – in advertisements and contacts with the public. She also allegedly ran an illegal practice where she examined and treated horses with Cushing’s disease. During an undercover operation, Gross allegedly examined a horse with pituitary pars intermedia dysfunction (PPID) and prescribed treatment that included stopping a medication prescribed by a veterinarian. Gross is scheduled to appear in Orange County Superior Court on June 8, 2018. Registered nurse (RN) Athina Cook, of Kelseyville, appeared in Lake County Superior Court on May 21, 2018 and was sentenced to five years and four months in state prison. In March, she pleaded no contest to two felony counts of obtaining controlled substances by fraud and one felony count of causing injury while driving under the influence. 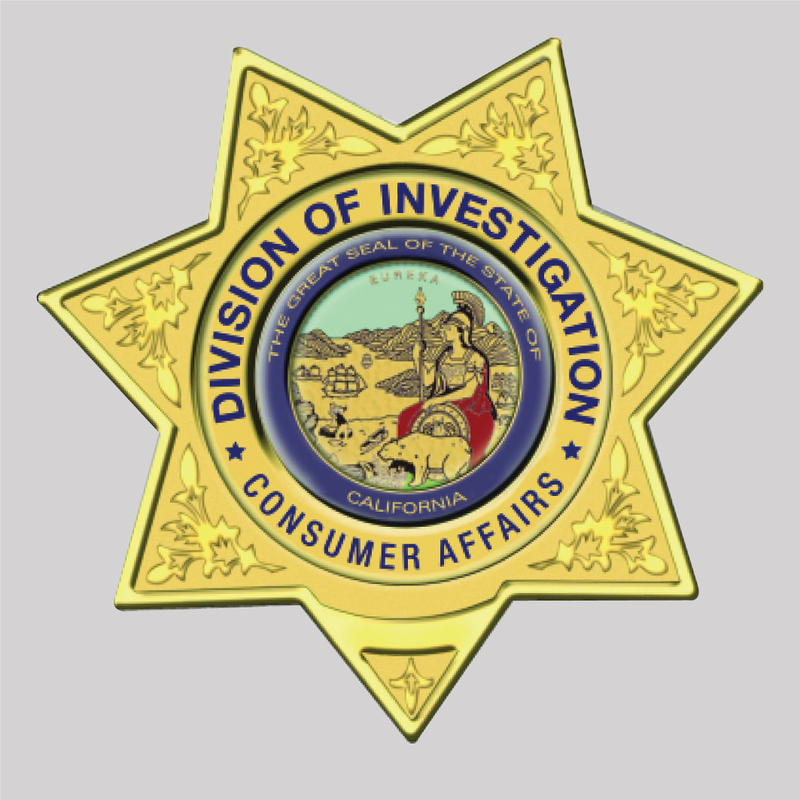 Cook was investigated by the California Department of Consumer Affairs’ Division of Investigation (DOI), Investigation and Enforcement Unit-Sacramento Field Office. DOI investigators found that while Cook was working as an RN at a hospital in Clearlake in November 2015, she diverted controlled substances, including dilaudid and morphine, which were purportedly for her patients. Cook was sentenced to 16 months in prison for obtaining the controlled substances by fraud. In a separate investigation conducted by the Lakeport Police Department, Cook was found to have caused a non-fatal, head-on collision while she was driving under the influence and was sentenced to four years in prison. Cook has been prohibited from practicing as a registered nurse since April 2017 due to her ongoing criminal prosecution. The California Board of Registered Nursing will review her case and take disciplinary action as appropriate. The order restricting Cook’s RN license can be read here. A San Diego doctor stands accused of 11 felony charges for allegedly prescribing controlled substances for his own use. Dr. Robert Scott Klein is scheduled to appear in San Diego Superior Court on June 8, 2018. Klein has been charged with two counts of identity theft, one count of insurance fraud and eight counts of prescription forgery. The Department of Consumer Affairs’ Division of Investigation – Investigation and Enforcement Unit San Diego Field Office, investigated Klein at the request of the Osteopathic Medical Board. Investigators found that in August and October 2016, Klein allegedly obtained prescriptions for Ambien using a patient’s identity and insurance information. The prescriptions were fraudulently called-in to a pharmacy using another medical provider’s name. Further investigation found that in June and August 2016, Klein allegedly obtained prescriptions for Ambien using a family member’s identity and insurance information, by calling-in a prescription using a second medical provider’s name. Additionally, from 2014 to 2016, Klein allegedly used his own name to prescribe prescriptions for Ambien, Ativan, Restoril, and Soma in the names of his family member and a neighbor. None of these individuals received the medications. On behalf of the Osteopathic Medical Board, the Attorney General’s Office will be requesting an Interim Suspension Order to limit Klein’s ability to practice as an Osteopathic Physician and Surgeon. A former psychiatrist was recently charged by the San Diego County District Attorney’s Office with felony sexual exploitation and misdemeanor sexual battery, following an investigation into reports of sexual misconduct. Leon Fajerman of El Cajon, practiced out of offices in San Diego, El Cajon, Chula Vista, and San Ysidro. Between 2016 and 2017, Fajerman is alleged to have engaged in sexual acts with seven patients, resulting in a felony sexual exploitation charge, and to have committed sexual battery against four patients and a patient’s mother, resulting in eight misdemeanor sexual battery charges. Fajerman surrendered his license to practice medicine to the Medical Board of California on May 15, 2018, following an investigation conducted by the California Department of Consumer Affairs’ Division of Investigation (DOI), Health Quality Investigation Unit-San Diego Field Office with assistance from the Chula Vista Police and San Diego Police departments. DOI investigators arrested Fajerman on May 24, 2018, with assistance from the San Diego County Sheriff’s Department. Fajerman was released from custody on May 25, 2018. Documents related to the surrender of Fajerman’s license can be read here. The news release issued by the Medical Board can be read here. Former speech-language pathologist Sandra Abolins Starch, of Orangevale, was in Sacramento Superior Court on May 23, 2018, facing a felony charge of grand theft. Starch was arrested in January. The charge stems from an investigation conducted by the Department of Consumer Affairs’ (DCA) Division of Investigation (DOI) – Sacramento Field Office. DOI investigated Starch in 2017 after her employer conducted an online license verification and found that her speech-language pathologist license had been revoked since November 2014. The employer contacted the California Speech-Language Pathology and Audiology and Hearing Aid Dispensers Board to verify whether the renewed license Starch had provided to them was fake. The board then alerted DOI to the potential fraud. DOI investigators found that Starch allegedly continued to work as a full-time speech-language pathologist at a rehabilitation facility in Elk Grove following the revocation of her license. Payroll records showed that from January 2015 to January 2016, Starch earned over $88,000 from her alleged fraud. Starch is being prosecuted by the Sacramento County District Attorney’s Consumer and Environmental Protection Unit. Her next court appearance is scheduled for July 17, 2018.